A former Blaine County mental health counselor has been placed on probation for five years for conviction of a felony charge of violation of a no-contact order. 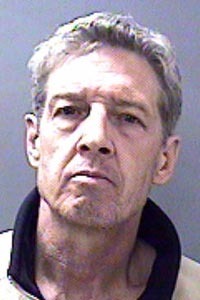 At sentencing Monday in Blaine County 5th District Court, Judge Robert Elgee also gave 59-year-old Pierre John Saviers a five-year suspended prison sentence. Elgee ordered that Saviers continue attendance at Alcoholics Anonymous meetings, continue seeing his psychologist and continue taking his medication for a mental health affliction. Saviers was found guilty of felony violation of a no-contact order regarding his ex-wife following a court trial before Elgee in May. Saviers, arrested for the crime in January, was charged with a felony because of two prior misdemeanor convictions of violation of a no-contact order, both regarding his ex-wife, in 2011. He spent about seven weeks in jail on a bond of $100,000 before being released on his own recognizance in March. During a court hearing at the time, Deputy Prosecuting Attorney Matt Fredback argued against Saviers' release, saying he had no confidence that Saviers would obey the no-contact order. “I doubted he could do this once he was released from jail, but he’s proven me wrong,” Fredback said at Monday’s hearing. Ketchum attorney Dan Dolan, who was assigned as public defender, said his client was previously a “well respected” mental health counselor whose life took a downward spiral. According to court records, Saviers' attempted suicide occurred in Sun Valley in 2010 when he shot himself in the torso and almost bled to death. His ex-wife filed for a divorce shortly after that. Dolan told the court that Saviers' crimes were committed mainly out of frustration, but that his client has taken steps to improve his life since being released from jail. “Anyway judge, he’s been doing wonderful,” Dolan said.